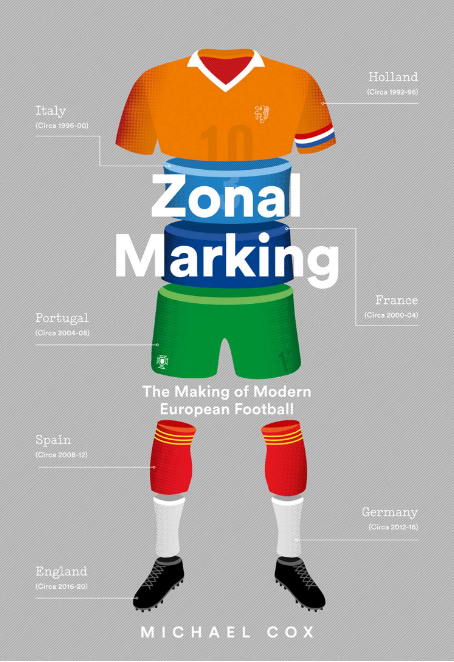 Spain’s current run of success is unprecedented – two European Championships, with a World Cup between. That’s because key players have declined since Euro 2012. While others have been in and out of the side, Xavi Hernandez and Andres Iniesta have been the two midfield stars consistent throughout Euro 2008, World Cup 2010 and Euro 2012. They’re the personification of Spain’s Barcelona-based tiki-taka game, and together they had their least impressive season for years. At his best, Xavi controlled matches better than any midfielder in the world, maybe better than any midfielder ever has, but now there are questions about his mobility and capacity to lead this side. Iniesta’s season at club level was disappointing, but he always delivers at international tournaments, and for the first time it is Iniesta, not Xavi, who must become Spain’s technical leader. By now, everyone knows Spain’s style of play, and their midfield zone is likely to be extremely similar to at World Cup 2010 and Euro 2012. Sergio Busquets plays at the base of midfield, sometimes dropping into the backline to turn Spain into a 3-4-3, but basically playing his usual steady holding role. Xabi Alonso plays just ahead to the left, and provides longer passes than his midfield colleagues, generally towards the flanks. His starring performance against France at Euro 2012 was the moment where he overtook Xavi as Spain’s chief passer. Then there’s Xavi, still playing at the top of the midfield trio for Spain, rather than as the ’second’ midfielder, where he is usually fielded for Barcelona. This means he collects possession in tighter spaces, sometimes with his back to goal, under heavy pressure from an opponent, and means his declining mobility will be tested even more. Nevertheless, this trio is still the best in the competition at the simple art of keeping possession, and it would be highly surprising to see Spain outpassed in any game. Iniesta should play from one flank, usually the left. However, in last year’s Confederations Cup Del Bosque experimented with a Barcelona-esque 4-3-3 system, and this is another option here. In the other two attacking positions, Spain need directness. While they won World Cup 2010 primarily through their possession play, it was notable that Del Bosque was always able to introduce an ‘outsider’ who offered more penetration and verticality. For example, the man who fought his way into the side was Pedro Rodriguez, on the back of just one full season at Barcelona, because he made runs in behind the defence rather than coming towards the ball all the time. Del Bosque’s favoured substitute was Cesc Fabregas, who drove forward from midfield and set up the winner in the final, and he also used Jesus Navas – injured for this tournament – as a flying winger from the right. Even Fernando Llorente, who missed the cut this time around, came on to play a crucial role against Portugal. Del Bosque always found a compromise between possession and penetration, even if his favoured ‘balance’ was 80-20 rather than 50-50. In this respect, Pedro Rodriguez deserves to start. He’s been by far Spain’s most consistent attacker since Euro 2012, scoring twelve goals, and he knows how this system works perfectly. The timing of his runs remains excellent and he offers a continual outlet in behind the opposition. Still, Del Bosque bends over backwards to get David Silva in the side, and he’s probably favourite to start. The problem with playing Iniesta and Silva from the two flanks are obvious – it makes the side too narrow. It tripped up Spain in the opening game of World Cup 2010, although it wasn’t an issue at Euro 2012 when the front three played wonderfully. If Silva starts on the right, the directness must come from upfront. This doesn’t necessarily mean an out-and-out striker there, however. Fabregas started Euro 2012 as a false nine against Italy, and while Del Bosque tried to use proper strikers upfront, he returned to Fabregas for the final, also against Italy. By this time, Fabregas was just a striker – he might be considered a midfielder, but if you start on the line of the last defender and consistently make runs in behind, you’re just a striker. This seems Spain’s ’safest’ option and will probably be used against Holland in the opener. There are four other options, though. Pedro could play there, although he rarely starts centrally. The other major option is converted Brazilian Diego Costa, fresh from an astonishingly good season with Atletico Madrid. Costa is amongst the most direct strikers in Europe, and also works extremely hard without the ball, getting back to make his side compact before bursting forward powerfully into attack. He gives Spain something they haven’t had for a few years, since David Villa and Fernando Torres’ decline. They’re both still in the squad, with Torres more likely to start because he holds up the ball and brings others into play. Villa’s selection underlines Del Bosque’s loyalty, and in truth it’s hard to imagine what role he’ll play in this tournament, although his season with Atletico – and particularly his valiant European Cup final display – shows he’s happy to be used as a pure battler. Despite the emergence of Costa, Spain’s options upfront are less dangerous. The same can be said of the midfield, where Santi Cazorla and Juan Mata dipped in form last season, although Koke was sensational. It will be interesting to see who Del Bosque turns to, should he drop Xavi at any point. Theoretically any of Iniesta, Koke, Mata, Silva, Cazorla and Fabregas could play in that number ten role – this is Spain, after all. With such great options, Del Bosque will probably rotate according to the demands of each match – he can afford to be more direct against Australia than against Holland, for example. The defence has only changed slightly since Euro 2012. Sergio Ramos and Gerard Pique are still a reliable partnership, and potentially the world’s best internal Plan B, should Spain need to launch the ball upfront late on, while Jordi Alba provides thrust, width, directness and acceleration from left-back. At right-back there’s been a change, however, with Alvaro Arbeloa dropping out. Cesar Azpilicueta and Juanfran are the contenders to play his role, with Juanfran favourite. He’s more dynamic and capable of making late runs towards the back post, although Del Bosque might prefer someone steadier on the opposite side to Alba. Question marks have been raised about Juanfran’s fitness, too. Iker Casillas remains first-choice, despite being second-choice for Real Madrid this season. He played in, and won, two cups – although his error in the European Cup final was highly surprising. Usually Casillas stays on his line rather than attempting to command his box, so it was surprising to see him make that kind of mistake. Spain have an absurd defensive record in major tournaments, having kept ten clean sheets in ten knockout games across Euro 2008, World Cup 2010 and Euro 2012. A large part of that, of course, is their style of defending proactively through possession play, and this remains a great strength – although the manner Brazil ripped them apart in the Confederations Cup final suggests, more than ever, Spain are vulnerable to counter-attacks. It might sound ridiculous to criticise a manager that has won World Cup 2010 and Euro 2012 almost flawlessly, but Del Bosque has always appeared too cautious with his use of attackers, generally favouring passers over those who attack directly. If he’s too cautious again, Spain might be caught out. But this remains the most talented 23-man squad in the competition by some distance, and anything less than the semi-finals would be a huge surprise. Coach: Vicente del Bosque – paternal figure. Team spirit first, tactics second. Key player: Those that provide width and directness. Pedro if he plays, Alba if not. Key tactical question: Who plays upfront? Surely Carvajal is more likely to start at right-back? Azpilicueta’s claim is surely hurt by mostly playing at left-back this season. I’d be surprised if Costa didn’t start, as well, assuming he’s fit. Given all the controversy surrounding him switching to Spain and turning down a certain starting spot for Brazil, I’m sure he’ll expect to play a big role – something Del Bosque might even have assured him of in reaching his decision. Ha, probably should have checked that. Bit surprising, really. He hasn’t looked brilliant defensively for Madrid but is good on the ball. Juanfran’s had a good season (and was outstanding at Stamford Bridge) but he would still seem like the weak link. Guarantee they will go at group stage, Del Bosque’s reign of boring dolphin football ends now. However, Dolphin football has been much more efficient than Anglo-Saxon Headless chicken football those last years. It makes you wonder, right? I’m actually so in love with Koke I’d consider using him as the false 9 if Xavi stays in the lineup, too. As much as Xavi has declined, he won’t be dropped, as he’s still the leader and ideologue of this system. And I think he still has some great football left in him, especially out of depressing Barca context. Xabi Alonso has been classy and reliable for Spain, but I reckon he would be first to be dropped in favour of more energetic and dynamic player. Koke played whole game against Salvador, which could be telling. 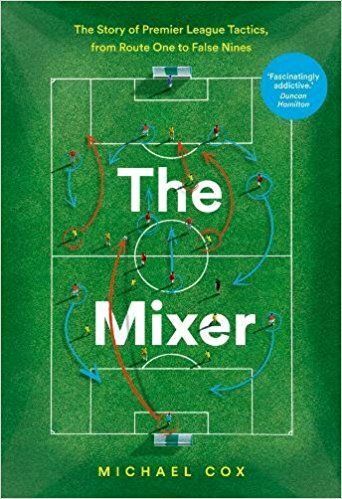 ZM, if you were the Spain manager and weren’t afraid of the political and dressing room backlash of overhauling the side, would you consider re-tooling the midfield and starting Javi Martinez and Koke and dropping Xavi and Xabi Alonso? By sticking to the same style and same players, it feels like a refusal to learn valuable lessons taught by Brazil last summer and by Bayern vs Barca in ‘13 and Atletico vs Barca in ‘14. With Atlético Koke has played pretty much everywhere in the midfield at one point or another, and done so exceedingly well. In the pivot defensively, on either side of the midfield, box to box, as mediapunta. He’s very disciplined tactically so I think it would be easy give him a role that wouldn’t get in the way of Iniesta. I’m saying that they could’ve modified their style (not completely changed it, mind) to rely less on tiki-taka and embrace some physicality and directness. They’d still dominate possession against virtually every opponent, but not quite as much. However, they wouldn’t be as susceptible to more athletic midfields like the Luiz Gustavo/Paulinho pairing that overran them last summer. Atleti primarily played counter attacking football, but they were capable of playing at different registers, one of which was one-touch, short-passing possession. Look no further than the second half of the CL SF at Stamford Bridge, where they basically played tiki taka around a helpless Chelsea defense. A big reason for their ability to pull this off is Koke’s technical ability. David Villa, late of Barça, is on record talking about how good Koke’s touch is. One of his nicknames at Atleti is Kokinho, because his technique on the ball is excellent. He will fit in just fine. No matter how good Koke is, that is not the most important question. The real question is who can he replace on a superstar midfield. Remember that this is a midfield which has won everything so Koke’s chances are not so good. My guess is that Del Bosque chose Koke to add more directness options to the squad as a Plan B. So if the the things don’t go well for Spain he may be introduced. Even so he faces competition from Fabregas who is much more experienced. Personally I think Koke is not even first choice substitution. Low chances for him and after all no big deal. Spain has so many talents who deserve to play before his turn can come. Pedro from the start, definitely. And I guess Martinez would be very helpful when Spain lose the ball high up the pitch. With him and Azpilicueta as RB (as you mentioned) and Ramos Spain would have three powerful defensive minded runners (+ Pique) and would probably be able to defend better against counter-attacks. But what about Silva? I like him very much, finding pockets of spaces, turning with the ball in tightest of spaces and then feeding the attackers with the through balls. If Alba, Pedro and Costa (or any other number 9) bring direction with running, Silva does it with turning, passing and drilling with the ball forward. In my opinion, he brings more penetration than any other central midfielder (Xavi, Alonso, Iniesta, Busquets, Martinez, …). But to play him from the start (cutting inside from the left while Alba overlapping or as false nine) or to have him as plan B on the bench? I understand why Del Bosque almost always played with two defensive midfielders + Xavi + Iniesta, but would like to see him being more adventurous in Brazil. Always thought that his Spain kept the ball not to get a goal, while Barca at its prime kept the ball also to score as many goals as possible. Drop Xavi? What a joke. Clearly his ability to put in a world class season at club level playing head and shoulders above any other midfielder on earth in multiple competitions has declined, but in a match or relatively short tournament it’s a different story. It would be crazy to bench him. Any pretense that the problems at Barcelona over the past year or two can be summed up by one or two players burning out without regard for the big picture there is nothing short of comical, not to mention completely ignores Spain’s form during that time. You forgot to do a strengths/ weaknesses/ manager bit at the bottom! I think Spain are being hugely underestimated by everyone, for two simple reasons: the final of last year’s Confederations Cup and Barca’s (slight) decline over the last two years. Had they won the former, they would without a shadow of a doubt be going in as favourites. Of course, they didn’t win it, and they were genuinely outplayed by Brazil in the final. But it seems very presumptuous to read so much into what is after all a secondary competition that Brazil were infinitely more motivated to win. These questions of perception aside, the tactical questions seem to break down into three: 1. Xavi isn’t the player he was; 2. The strikers don’t score, and Del Bosque has been far too conservative in picking Torres and Villa over Llorente/anyone else. 3. The lack of penetration without Navas as a Plan B. 1. The brilliance of the defence. It’s slightly unfair to say that they keep clean sheets solely by virtue of keeping possession: the individual defenders are all fantastic players, and surely the “weakness” always identified in previous Spain teams (i.e. the ones that won all the tournaments and are the single most successful international side of all time) – Arbeola – has been eradicated by virtue of his replacement by either one of the two most brilliant full-backs in Europe this year (Juanfran/Azpilecueta). 2. They only need to win matches 1-0. This is underestimated again and again and again by all commentators, but look at their results in the previous tournaments which they won. They don’t need high scoring strikers. They don’t even need vast amounts of penetration. All they need is to keep the ball consistently in the opposition third, and to claim at least one of their chances. This is not a league: one 0-0 in the group stages or in normal time of a knockout match is not a catastrophe, as it is for a team like Barca, who need to win all their matches to stay in contention (and of course their style of play, and the depth of their squad, makes them more and more favourites for any match that goes into extra time). 3. Most importantly, the tactics that have worked against tiki-taka in the last few years at club level – ultra-disciplined defensive positioning; smart use of sporadic intense pressing; lightning-fast co-ordinated counter-attacks that nonetheless do not expose you if you lose the ball – take huge amounts of time to prepare, time that is available at club level but not at international. I’m not saying that a Brazil, an Argentina, or even an Italy wouldn’t cause Spain problems. What I am saying, in a nutshell, is that the fact that Barca got spanked by Bayern last season shouldn’t overly influence our view of the national team and its chances. If I had to bet on any one team to win the tournament, it would be Spain. I agree with your comment. I would also like to add two more points. 1. If Spain has an enemy this is not their technical or physical abilities but their motivation. Spain can only loose for a lack of motivation. I don’t see any other side being better than them (including Germany). 2. Spain is highly underestimated this year. Actually in strict football terms Spain is even stronger in this competition than the last one. Because they have a better defense and better attack that is someone like Diego Costa. Don’t get me wrong, I think he personally won’t score a single goal (maybe just one) but he will be extremely effective in holding defenders around him. He is too big of a threat to be left unmarked. This will open spaces for other players. Personally I think David Villa will be the man for Spain again if he is allowed time to play because he is very positional although he has lost the glamour. Again Spain has one big enemy; that is not their capability but their motivation. Xabi Alonso was out with an injury, so there was no double pivot. I know Del Bosque got some grief about the double pivot at Euro ‘12, when Spain’s relentless control threatened to suffocate not just their opponents, but also a few grumpy viewers. But the pair of Alonso and Busquets would surely have come in handy against the marauding Brazilians. Pretty sure Spain is ranked #1 in the world…. just saying. This seems the end of a cycle for Spain, with the team set-up surely bound to change after this world cup. Both Xavi and Alonso will probably not start in the next tournament, while Iniesta might be moved deeper, so it could be the last big tournament for this generation playing as they currently do. I’m doubtful they can win a fourth international tournament however. They seem weaker than at the 2010 world cup or euro 2012. The midfield (bar Busquets) and attack don’t protect the defence as well as they once did. A key aspect of stopping counter attacks was the work done by Xavi et al up the pitch, but Spain have lost that aspect in the last couple of years. They have still have a strong defence, but are not as impregnable as previously. 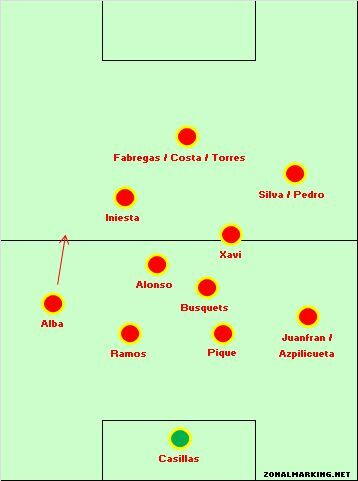 I also remain unconvinced by Diego Costa and Xavi’s role in the sides. Diego Costa seems ill suited to Spain’s style and might struggle against the deep defences that Spain constantly have to break down. I would stick with Fabregas who was successful in that role at the Euro’s, but the pressure will be on Del Bosque to start the Brazilian he took such effort to bring into the national team. Xavi also seems set to start, but seems past his peak and has always struggled to play his best football so high up the pitch. It constantly results in Iniest/Silva having to drop deeper to connect the team and results in low penetration. Spain should top their group, but could face tricky problems against Holland’s back three (as they did when facing Italy two years ago) and Chile’s high pressing. Fabregas may be a better option for opening up Holland, while Diego Costa might suit the high line of Chile. They then have an easier second tie than most, probably playing Croatia or Mexico, both teams that are very open and could be exposed by Spain’s passing. But the quarter finals may pose a threat, where they could face either England, Italy or Uruguay. All three would throw up different threats and it’s not unreasonable to see Spain lose to any of those sides. if spain win it looks like it might be a 1-0 all the way as per last time. xabi, xavi, and busquets in m/f….not a lot of goals there. esp if costa doesn’t play. silva doesn’t score a lot. i agree, Pedro has that incisiveness and needs to play. as does fabregas in a m/f role who can also get a goal. the 2008 version of spain was much more direct & imo enjoyable to watch, with villa and torres both playing & in form, only 1 real holder in m senna. if you play the 3 listed above, its almost like having 3 holding m/fs in, with xavi getting older and less mobile, less likely to score. as great as he is, he didn’t assist much at the last w cup, or score. i can understand them keep it tight vs big sides, but against weaker sides, if they choose to make it a low scoring game ( 1-0 game either way ) they risk being on the wrong end of things like last time v Switzerland…… they need to choose the right games to open up in. - The most important players in the squad have played the champions league final just 2 weeks ago, with La Liga’s decision only in the final game of the season. Meaning that the starters have only been with the selection for 1 week. - Spain have a very tough group and will have to show up on the first day of the tournament. Although Spain will be favourites against both Netherlands and Chili, these are definitely squads capable of troubling the defence, especially on a bad day. - Louis v Gaal will aim to limit space available for Spain, and hope for a genius moment of Sneijder/Robben/van Persie. Which is risky but not beyond imaginable. So, even though they are favourites, there is a very real possibility they might not even get out of the group stages! It’s ridiculous how underrated this Spain squad has become. 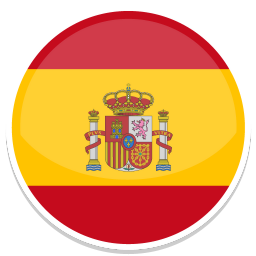 Spain – the dark horses of World Cup 2014, you heard it first here. I keep feeling that Isco would have been the perfect sub/replacement for Xavi as a 10. It is the position in which he excelled at Malaga as opposed to where he played (somewhat out of position) at Madrid this year when his form dipped. Would you have taken Isco in place of any of the other attacking mids? Spain to tiki-taka to 1-0, then Costa to come on and counterattack with Pedro as space opens up behind. People seem to either ignore, or be uninformed to VdB’s high demands, tactical astuteness and motivation skills. This team has as many options as ever, have fixed their weak point (RB) and is pumping new blood in a slow and steady manner. For Spain, the equation is pretty simple for me. If Costa’s on form and takes the CF position, Spain wins the tournament. If he’s still feeling the effects of the injury and Fabregas is deployed as a False 9, Spain’s lack of penetration and movement will be exposed. Spain has significantly upgraded in defense by leaving Arbeloa at home. They are not relying on any weak links at the fullback position for the first time since Ramos’ move to CB. Koke’s energy will prove a vital component to Spain’s midfield play before this tournament is finished. Xavi doesn’t have the legs for every match, and the same is true of Xabi Alonso given how his season finished. Fabregas isn’t an energy player. Koke and Costa are the two pieces to propel Spain.